Many luxury car brands are looking toward the future and what it might mean for them. Thus far, it seems as though electric cars are at the forefront of the industry. 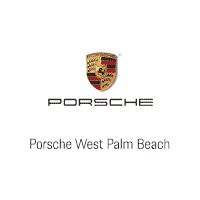 With every automaker building upon alternative-fuel technology, i is time that an electric Porsche make its grand debut. Every new Porsche Panamera for sale is cause enough for excitement. Now, however, with Porsche unveiling the possibility for an electric car, anticipation is even greater – especially with the kind of power that they intend to give to it. Electric cars, in the past, have been saddled with slower acceleration speeds, a small range of mileage, and virtually no options when it came to recharging. Batteries were bulky, and it seemed that for a while no one would be able to master the concept. Fast forward to the present: an electric Porsche seeks to move the class ahead by leaps and bounds. Porsche’s e-vehicle will have a number of great features: such as 0-100km/h acceleration in just under 3.5 seconds. It will charge twice as fast as comparable electric vehicles, which means only 15 minutes on the charger gives you 80% full battery power. Not too shabby for their first electric car. Porsche simply cannot issue a standard, run-of-the-mill electric vehicle. They need to ensure it meets their customers’ – and their own – high standards. Unfortunately, the Porsche Mission E, as it’s being called in its development stages, won’t be available until 2020. Given that the iconic brand has hired a over 1,000 people and invested a large sum of money into the project, it seems pretty likely that they’ll have it out on time. 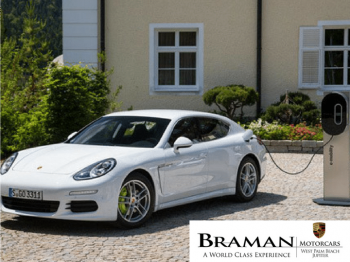 2020 is just a few short years away; but visit Braman to inquire about a new Porsche Panamera for sale or lease to tide you over until then.